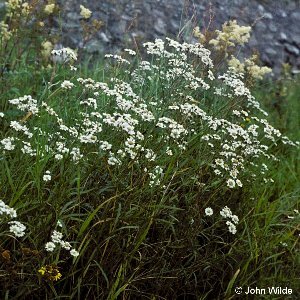 Sneezewort is related to yarrow, but has leaves which are undivided (not feathery, like yarrow). It is less common than yarrow and grows in marshy places. 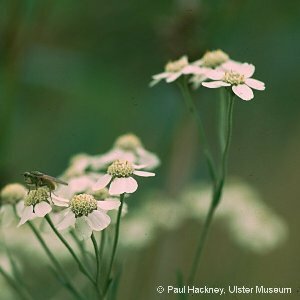 All names: Achillea ptarmica L.